87989 Marina Beach Way, Sturgeon Lake, MN.| MLS# 5136676 | Chisago City MN Real Estate for sale and surrounding Chisago Lakes homes for Sale. Chris Dubose from the Move It Real Estate Group can help you buy or sell real estate in the CHisaog Lakes area, Chisago County, Washington County and NW Wisconsin. NEW PRICE! Exceptionally maintained Sturgeon Lake Home w/meticulous yard & views of Sturgeon Lake! Lakeside you have a 25' lake lot with a boathouse & rooftop deck for entertaining & another deeded access area for add'l lake access. 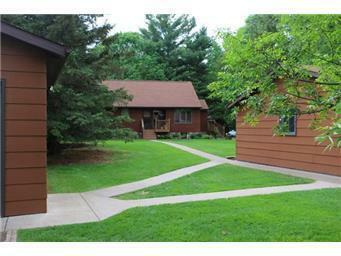 The home offers 3 main floor bedrooms, vaulted knotty pine ceilings, kitchen & dining with large deck overlooking lake & superb fire-pit for evening bonfires. Lower level family room, guest room, laundry & storage. 2 garages, asphalt driveway, gardens & so much more!